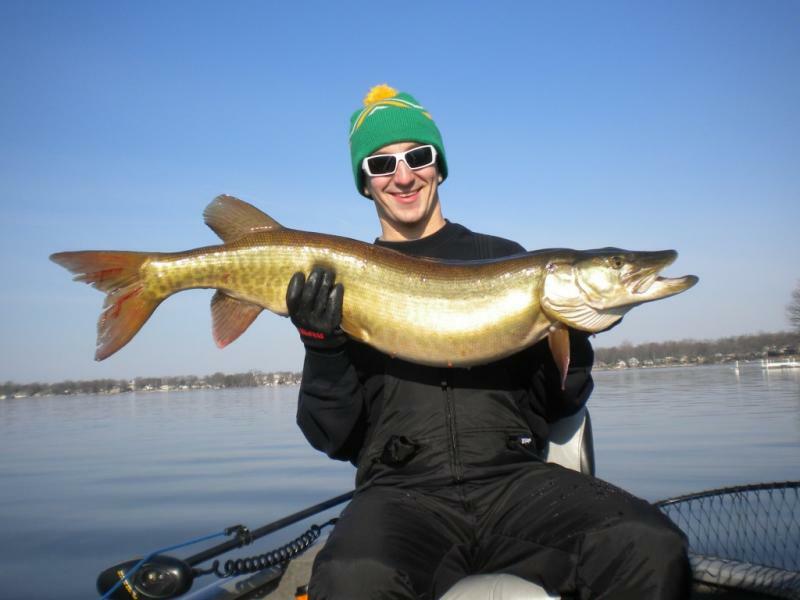 If you are looking for the sheer excitement and adrenaline rush of catching a fish that is longer than a yard stick and weighs between 5-30 pounds, then give Musky Fishing a try. These fish are strong and fight unlike any other specie in the lakes and streams located in our area. Musky fishing is truly an addiction for me. The day I caught my first one, was the day that I decided to fish for nothing but this spectacular fish. I will do my very best to give you an experience of a lifetime on one of the fantastic Musky Lakes in our area. You bring your enthusiasm, your fishing license, something to eat and drink, and clothing suitable for the conditions, and I will supply the rest. I regularly fish all 5 of these wonderful lakes and will make every effort to put you in a position to do battle with this large elusive fish.